An informative travelling exhibition, by Behnisch Architekten + Transsolar Climate Engineering guaranteed to cool you with facts and figures about the human body, and showing the tip of the iceberg of human being’s conquest to conquer the environment. The German exhibition is a must see for climate change advocates, people in positions to affect urban planning (plotting buildings to maximize wind draft for the benefit of the WHOLE city area), architectural and art students alike. The exhibition features completed and on-going projects highlighting “(eco) function affects form”, and offers a stark contrast to Singapore’s Green buildings, and ubiquitous shopping malls. It might be relevant to make the distinction of Chinese-ness: Hua Qiao (华侨）refer to Overseas Chinese of Chinese birth, within the territories of People’s Republic of China. Huayi (华裔）refers to the descendants of overseas Chinese that have taken root elsewhere, like many Singaporeans of Chinese descent. The works here, are distinctly produced by artists of Chinese nationale. While the distinction might seem redundant, we could view work thematically like any other work produced by another artist of a different nationale, the context to understand the work shifts ever so slightly. China, it seems, is in everyone’s mind when it comes to Olympics (Beijing Olympics 2008), business opportunities, and ‘go East’ mentality. The works on show are hardly disparage to China’s careful foreign policies, covering broad themes of globalisation, China’s history, dislocation/displacement and feature some international stars such as Jiang jie, Xu Bing. The title ‘reconfiguration’ takes on two meanings, if we acknowledge that the title 《返思》 could possibly be conceived in Mandarin. Firstly, it could mean ‘reflection’ (反思), perhaps on the rise of China as a super power beyond the economic sense with millions of overseas Chinese and Chinese Expatriates in different dispositions, each bringing with them a little bit of Chinese Culture. Secondly, ‘a return (返) to conceptual art(思维艺术/概念艺术)’, just as how modernism in art influenced Asia in more ways similar, albeit a different timeline to its Western European counterpart. While the exhibition is not exhaustive of the most controversial and provocative art from China, it does serve as a good comparison with local contemporary art, more so than the past 2002 Art Singapore at Suntec where other prominent Chinese artists like Ma Liu Ming were represented at the art fair.The Nanyang style, as described by many as the flux of influences from the Eastern traditional ink painting and Western Impressionism, was perhaps the first indication of Singapore’s own Ism, and claim to any art history. 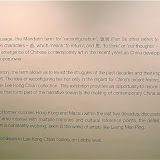 The manner in which Chinese art influenced Singapore’s art scene deserves another look, as it is happening again. Looking at these artworks might evoke feelings of alienation from a country some of our forefathers came from. Looking at these artworks might provoke us to look at our own surroundings more intently, and drawing comparisons with the influences of our local artists – Ng Eng Teng’s nudes, Baet Yoek Kuan’s abstract metal and cement sculptures, idyllic cityscapes rendered in ink by Chua Ek Kay. The Singapore contemporary artworks also on exhibit in the museum, engages with subject matters that are a lot less politicised, territorial, or ‘in your face’. Perhaps this is an indication that art is ultimately a reflection of society, and collected Singapore art that is sanctioned, is hardly politicised. “ Videology: a word made up to suggest ‘the study of how video or moving images are made and understood’. The study of video and its relevance in today’s art making context, is a profound and ambitious project. Not only should it acknowledge the history of video art, installation art, the technicalities of creating moving images and mechanical reproduction; it needs to be rigorous, academic, and exhaustive. It should encompass the role of video art, as a component of new media art in the internet age. The exhibition at the Substation, curated by a Singapore video artist seems like a gamble to contain the above. Featuring relatively young artists and choosing them based on merit of their ‘process-based approach to artmaking’, does attempt to investigate the differences in artistic processes when dealing with different media. Some artists do insists of being called ‘visual artists working with painting’, then being called a painter. However, the previous works of these artists were not presented for comparison. To consider this exhibition in the context of Singapore’s art history, and artists that dealt with video, we could briefly examine the works by Tang Da Wu, Matthew Ngui, Tan Kai Syng and Heman Chong with the pervasive and methodical use of video. Some of Tang Da Wu’s performances were recorded on video PAL format, and epitomises how a time-based media such as video, enabled the performance to be preserved, arguably more effectively than still photographs. Matthew Ngui, exploring the optics of video when he creates his illusionary Matthew Ngui Walks Through A Chair (1997) , by splitting the act of seeing, into ‘reception/recording’ and ‘playback’. 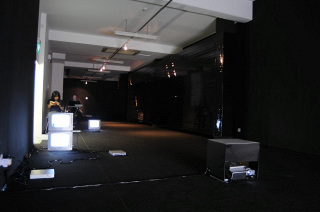 Tan Kai Syng and Heman Chong have consistently used video in many of their works, and first presented an all video exhibition in 2000, at Alliance Francaise Gallery with Dense. A darken space, and projections suggest a close knit genealogy of video art, film art and experimental film art, where the sophisticated audience would sit, in a theatre setting, bemused by the moving images on a large screen. The exhibition presented at the Substation features installation works that uses video, or critiques the materials of video. Valiana’s piece, titled Taped, consists of a large wrapping across two pillars within the gallery with magnetic tape extracted from numerous VHS cassette tapes. This unconventional work, reflects the space, capturing a ‘live feed’ of a scene in the gallery. While the poor lighting actually dampens the ‘resolution’ of the work, as we can hardly see our own reflections, the work is sensuous, beautiful to look at. It could perhaps be compared to Matthew Ngui’s commissioned work at the National Museum of Singapore, made from thousands of fibre optic cables and linked to an interactive camera setup. It reminds me of Heman Chong’s Molotov Cocktail remix, where a video recording of a bus journey is re-recorded until the magnetic tape breaks down, together with the VCR, and the static filled VHS tape presented. Patricia Ho’s (S) Physics references many other works, especially Nam June Paik’s installations with the shells of televisions. This questions the simulacra presented by television broadcasts, and indeed of any recorded image. The pieces are too disparate, perhaps 3 different pieces in their own right. 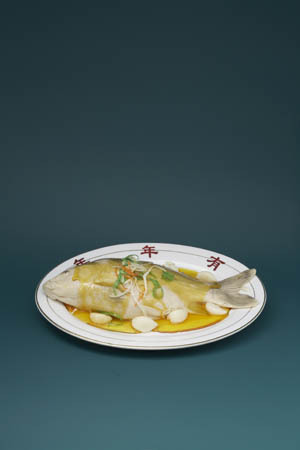 The flushing piece, does have the rigour of an experimental piece, not unlike Tan Pin Pin’s ‘microwave barbie doll’ (shown at the Singapore Art Museum, President’s Young Talent Exhibition, 2005). The piece nearer the wall is shroud with symbolism suggested by the folded section of the Straits Times, and collaged image of a urinal, and at best confusing. Claes Erik Eriksson’s A Virtual Walk presents the possibility of walking with your fingers, using the keyboard via a pain-stakingly hand drawn classical animation of the floor plan of the gallery space, and a circle that represents the viewer. The work is amusing and dis-orientating as the viewer represented by a circle icon, soon loses bearing when the arrows do not correspond with the orientation of the screen, but by the viewer: the ‘up’ key does not always move the viewer up the screen, but by virtue of the direction faced by the viewer icon.The work could also be compared to Virtual Marathon, initiated by Woon Tien Wei. In Virtual Marathon, viewers compete with other viewers by clicking two keys with their fingers, moving icons across virtual terrains in a virtual marathon. The work is a different kind of thorough video documentation, so much so that it becomes a work in itself, compared to Tang Da Wu’s video documentations. Julie Lee’s Start.Rewind.Pause. stutters, creating an obstacle for the viewer to absorb in the action of the stop-motion animation. This imaginary world straddles three screens unconvincingly, with the thread/line coming to life and creating shapes and patterns on bubble wrap. Whimsical, child-like in nature, it does conform to a certain aesthetics, not unlike the works of Angie Seah. To some extent, it reveals the sub-conscious of the artist, but un-decoded for the viewer. Maxine Chionh’s Window View highlights the difference in perspective, cropping an everyday scene a building entrance. We see only the passing bobbing crowns of heads of pedestrians, but projected on a below eye-level window of the gallery, viewed from the outside. 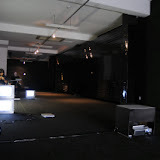 The work is monotonous to watch, and serves more like an experimental piece, a prelude to larger ambitions and themes. Like Matthew Ngui’ Walking through a Chair piece or Tan Siang Yu’s Escalator video work (showing a plan view of a looped stream of shoppers on mind dazzling escalators descending and ascending from left to right. 2005, last seen at the opening of iforum at Takashimaya, level 4), this has the potential to show another perspective to ‘seeing’ and the critique of everyday life. While the criticism here may seem harsh, the aesthetics of installation video art is ultimately different from viewing a painting – unless you are referring to Bill Viola’s The Passion series. What the various works in the exhibition does is to build a common understanding of this aesthetics – and how this aesthetics can be experienced, contemplated, shared, amplified or diminished in a gallery setting. I am sure the next video art exhibition will engage us in more than one way, and not just in the name of experimentation. Curator’s Text by Urich Lau accompanied by quicktime clips of the work, (http://www.substation.org/mag/features/videology.html), accessed March 12, 2008, can be found on the substation magazine’s e-zine. An unusual gallery space is carved into a niche in the hoarding of Scotts Square, a commercial building project that replaces Scotts shopping centre. Listed as a community project, the property developers have perhaps decided to inject new aesthetics into busy living by creating a temporary art gallery space. Pitched against a heavy flow of pedestrian traffic, it does not relegate itself to window display art, but surprisingly holds it’s own weight in creating a space for contemplation. As the first work that goes in this new space, aptly questions consumption, in the broader economic sense of the word, “the using up of goods and services by consumer purchasing or in the production of other goods”.The starting point of the artist, no doubt, would be the intrinsic qualities that the objects themselves behold, as symbols of mass-production and cultural kitsch, common place in most homes or presented as trinkets of travel or trophies of existence. Many of these objects reveal our (Chinese) cultural fascination with abundance, or surplus, and I do not just mean National Budget surpluses – from golden coloured ingots, to gold pigs. Keeping abundance could also be our natural hunter/gatherer instincts to hoard, only for later. Others are toys, ornaments or abandoned household items, in their various states of ‘health’. The wonderland suggested by the title, could perhaps refer to a child’s play world, surrounded by these fascinating and distant objects, separated by time and space.The concept of abundance may have a perculiar significance in Chinese contemporary culture – it shows your social status and affluence, by how much stuff you accumulate, and now much stuff you can afford to throw out. Singapore seems to be in the position of abundance, based on the Straits Times report of overwhelming donations – some more acceptable than broken, unusable objects – to the Salvation Army’s charity boxes in Singapore. We seem to have glided into the age of conspicuous consumption, using the superstitious excuse of throwing out the ‘old to welcome in the new’ for good luck. 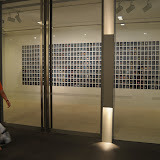 Chua Chye Teck’s photographs, in the matrix of presentation, 10 rows of 49 photographs making 490 5R prints, has that aura of abundance of an eccentric collector.Like his earlier works on heroic objects, and on-going Temporary Shelter series, he is a master collector of images. Reading each picture, guessing the thought processes the artist goes through to pick the object from perhaps hundreds others, reveal a certain consistency in logic and passive photographic prose – portraying the object as they are like passport photographs, sometimes presenting the ambiguity due to the current state of the object. As a collector, and now presenter of images, the artist does not shock; instead, he choses to present his findings, like forensic evidence of the things we ‘junk’. The pictures as a series serve more than a reminder of runway decadence that we simply cannot ignore, in the face of dwindling ‘once abundant’ natural resource and global climate change.